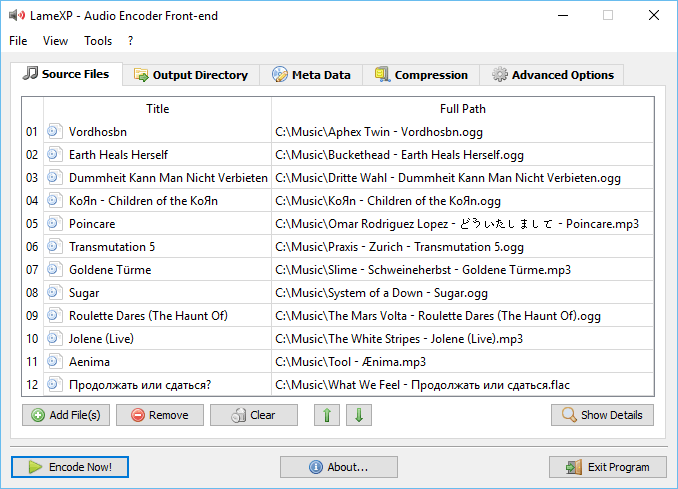 winLAME is an encoder for many commonly used audio formats, including extraction from CDs. The program lets you set up the encoding process with an easy-to-use wizard-style user interface and supports both batch processing and multiple audio files. Formats include WAV, MP3, FLAC, Monkey's Audio, OGG, Opus and many more. The program supports the creation of playlists (M3U, PLS and CUE) and ID3 tags (metadata). How to extract: Download and launch "Portable Edition" and extract to a folder of your choice. Launch winLAMEPortable.exe. it needs administrator rights to complete the installation. LameXP is an audio encoding and conversion program with a skinnable, drag-and-drop interface. The program can edit metadata, create an automatic playlist file, and modify audio with multi-threaded batch processing tools for normalization and tone adjustment. The program supports a wide variety of formats and quality settings. Although named for one of its popular encoders (the LAME MP3 encoder), the program can also export to OGG, Opus, FLAC, AC3, APE, WAV and DCA. Can convert from a wide variety of formats including MP3, OGG, FLAC, MP4/AAC, AC3, DTS, WavPack, Musepack, TTA, Speex, Monkey's Audio, Shorten, WMA, Opus and more. MP4/AAC encoding available via an external download (Nero AAC/QAAC). Is LameXP the only audio encoder that can convert opus files? I converted something to Opus yesterday with LameXP but TEncoder and TAudioConverter will also do the trick. 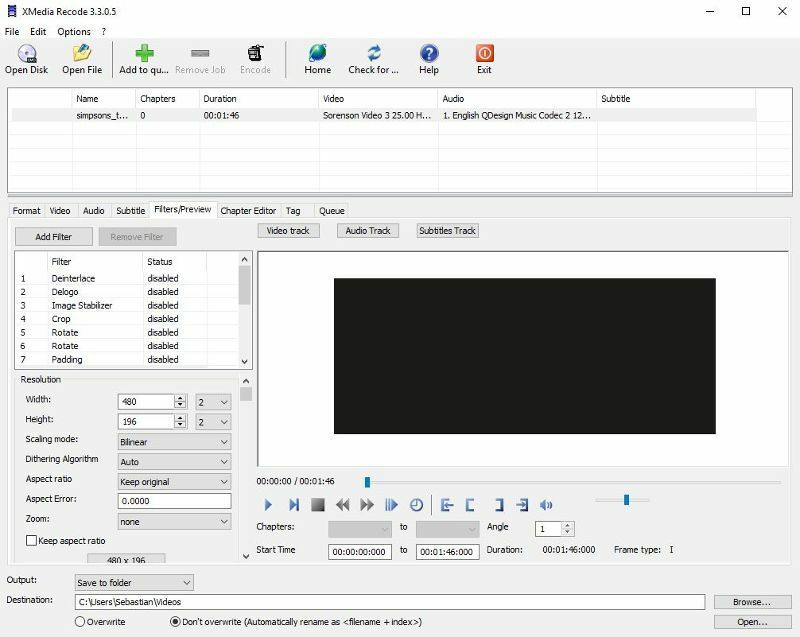 Pazera's Software Free Audio Video Pack is a collection of video and audio converters that help convert between a wide variety of common audio and video formats. The package also includes applications that allows you to extract audio tracks from CD images based on the CUE sheets, as well as an audio extractor that lets you take just the audio from a video file. Supported video outputs include AVI, MPEG, MP4, MOV, WMV, FLV, MKV, M4V and 3GP and audio formats include MP3, WMA, OGG, WAV, AAC, AC3, and FLAC. Many of the programs act as a front-end for FFmpeg. How to extract: Download the "Portable" 7z package and extract to a folder of your choice. Launch FreeAudioVideoPack.exe. Updated programs: Free OGV Video Converter 1.2, Free AVI to MP3 Converter 1.3, Free MP4 to AVI Converter 1.15, Free FLV to MP3 Converter 1.3. @MIKLO: I was wondering if You have a multicore CPU?! =D Have a nice day, my comrade. "Writes settings to: Application folder"
...I used it a few times - and in fact it doesn't write ANY settings anywhere... I didn't try "save coder configuration" from the menu though. 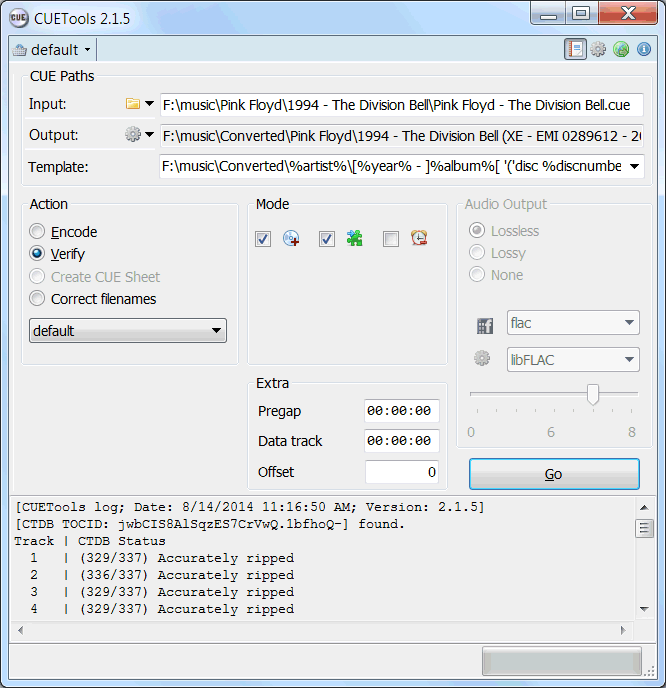 CUETools helps ensure an album image is preserved accurately by managing lossless audio and CUE sheet format conversion. Since many applications don't keep track of preserving gaps and CUE sheet contents during conversion, or don't support all possible CUE sheet styles, CUETools preserves both with no loss in quality. CUETools includes CUERipper, an extremely powerful yet easy-to-use CD ripping program, with features like lossless and lossy encoding options, EAC style logs, automatic metadata look-up and AccurateRip verification. The included CUERipper program is utterly superb and should be mentioned in the description I strongly think since it doesn't have enough attention and currently doesn't show up in results (I'll fix that in a sec). It has an easy to use yet poweruser-friendly interface, produces EAC logs with AccurateRip information, offers Burst/Secure/Paranoid ripping modes (with Burst correctly set by default), allows for image or track rips, verify options and moe. And one of the main features which solidified my switch: both it and the main CUETools offer a metadata search UI that displays the extended tag info such as Publisher, Barcode, etc. The only ripper I've tried which displays and tags this.